Posted on March 8, 2016 by admin. Hi, everyone. It's Justin from Clever Cycles. 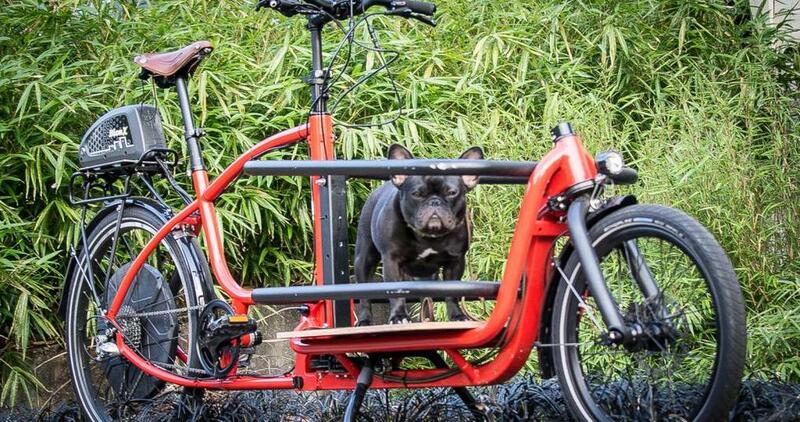 Today we’re going to look at the Douze, one of the most awesome cargo bikes on the market. Here at Clever Cycles, we’ve been selling cargo bikes for a long time, and we’ve seen them evolve over the years. It takes a lot to wow us but the Douze cargo bike is one impressive ride. When you ride a Douze you immediately notice that it feels more like riding a hybrid commuter bike than a clunky workhorse. That’s because the cable steering and geometry make it feel more natural and familiar than any other front loading cargo bike. This allows you to easily maneuver the bike, make turns at faster speeds and even stand up on the pedals for extra power on big hills. Douze cargo bikes are highly customizable. There are step-through and step-over frames, two front end cargo sizes and multiple, well-thought-out options for transporting kids with an inflatable rain canopy, soft benches and three-point harnesses. And of course you can also get my favorite feature: Dynamo lighting. There are also several different gearing options to choose from depending on what your needs are: 9-speed external, with or without electric assist, and four different internal gear hubs, which you can pair with a chain or a belt drive. Finally, Douze cargo bikes come apart in five minutes. They built in this feature to allow you to easily disconnect the front and rear halves of the bike so you can store it someplace small or load it into the back of your car. Here at Clever Cycles we have Douze cargo bikes in several different configurations. We’re more than happy to show you how they work and let you take one for a spin around the block. So stop by the store today, and thanks for watching.